Chances are if you’re an AEC professional and haven’t heard about BIM; you probably don’t have a pulse. As I continue my job search there’s one question that consistently amuses me; do you have any experience with BIM software? From that question alone, I know the person asking it has a limited knowledge of what BIM is. Simply stated BIM is process not software; products like Revit, Civil 3D, Inventor, even vanilla AutoCAD are simply tools that help us to execute that process. Backed by the right process, I’d argue that one could create a BIM workflow using nothing but AutoCAD LT. I say that because BIM is not defined by drawing files; instead by the way the people responsible for those drawing files choose to integrate them and use them in an asynchronous manner. It was this underlying concept that caught my eye while reading a post on Baskervill’s Blog entitled IMC and A/E/C = Perfect Harmony. The acronym IMC is defined as Integrated Marketing Communications, and is used to describe the asynchronous use of several delivery mechanisms to broadcast and reinforce a consistent message. While the post is understandably focused on marketing, it brings up several points that I feel transcends nearly all professional disciplines. There’s a definitive difference in the way mom and pop businesses operate versus the way mid-to-large-sized businesses operate. I once worked for a MEP firm which(including myself) consisted of three people. Our strength certainly wasn’t manpower, but integration. While we each typically focused on a single discipline (mechanical, electrical, or plumbing), we also had a profound awareness of our colleagues strengths and weaknesses, and where we could help each other to make the company (not necessarily us as individuals) more productive. This concept of integration is often imitated in big business, but so rarely achieved. Consequently this is the very foundation by which BIM was founded. It has little do to with creating models, and everything to do with using that model to strengthen communication throughout a project team. Regardless if it’s BIM or IMC you’re looking to implement, the consistent theme here has so little to do with technology, and everything to do with people communicating. For some companies that goal may be enhanced by technology, but it’s never fully achieved through technology. BIM is difficult without tools like Revit and Civil 3D, even more difficult without people, and absolutely impossible without those people functioning as a single team, not individual teams from separate companies. Stay tuned as I continue this discussion in some future posts. In the mean time use the comments section to share how communication has either enhanced or diminished the effectiveness of your company’s adoption of a BIM workflow. 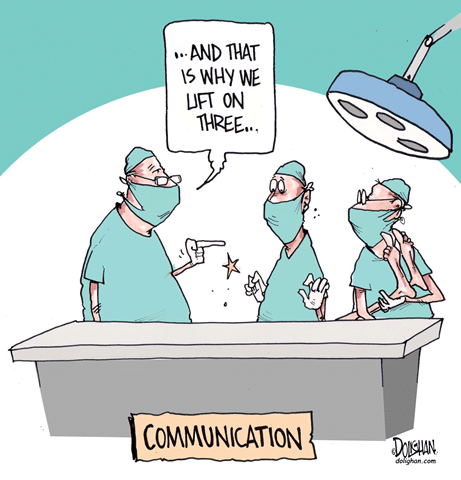 More importantly, has that strategy caused co-consultants to fortify their self, or has it resulted in stronger project teams who are more productive thanks to an integrated communication strategy? In truth, BIM applications (such as Revit and Vectorworks Architect) are only one part of the BIM workflow, and a single piece of software won’t allow for intelligent design and automatic updates where changes are made. Donnie, when you think about it, there is no BIM specification, only marketing going on. Autodesk is using the term to its advanatge, not ours. Great article though, I could not agree more that a coordinated team is the key to any modeling system. We have started our first Revit project where our client mandated the use of Revit. They bought all the hype and marketing out there and believed that this approach would make the project work flow faster. The problem is we are pretty new to Revit, almost three years on a part time basis, but none of our consultants ever touched it. We have worked through it but it has not reduced our work flow because any gains are eaten up by working out the kinks. As a result we have been analyzing our total work flow and processes with Revit. It was pretty enlighten when you realize that it does not change a lot. 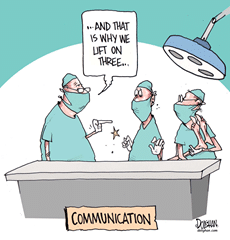 What it does do is force you to communicate more with your consultants which can be a good thing. Still, it is not the answer to everything and still requires a living person on each side who knows what needs to be looked at. The most important issue is having the ability to look at things sooner than your could in the process of the design. This is the real benefit of the modeled environment over a strictly 2D environment. Jake – I wholeheartedly agree that using the specialized industry solution (eg. AutoCAD Civil 3D, AutoCAD Architecture, Revit, etc) is certainly much more efficient than vanilla AutoCAD. The point of this particular post is that BIM is more about process than software product, and to say that with the RIGHT PROCESS in place, BIM is even possible with the one-size-fits-all design platform known as AutoCAD. It may not be suited for more sophisticated designs, however it may also be just the ticket for smaller (less advanced) designs. If you consider the interpretation of modelling from other businesses, you do need the ability to aggregate large amounts of non-graphical data and run real-time 'what-if' scenarios. As with finance and weather models, the data drives the graphics, rather than the other way around. Of course, you could achieve MEP coordination with a tightly integrated project team and vanilla AutoCAD. This method is purely graphical doesn't tap into underlying position data to discover clashes. It's not an Information Model. I like your one mouth/two ears analogy. Just the same as I would rather have a hammer over a rock to drive a nail into a piece of wood, the fact remains I can still drive the nail without a hammer. In much the same way, I'd rather use an industry centric vertical application (AutoCAD MEP, Civil 3D, Revit, etc) over vanilla AutoCAD to develop a BIM workflow, but if properly executed AutoCAD 'could' fulfill the need. How do you feel about “VDC” ? Great post – agree and have also implemented an Integrated Design and Construction Workflow using only Vanilla AutoCAD on one of New Zealand's largest construction projects, not quite AutoCAD LT but still a far cry from Revit which I've now moved over too. You bring up a good point; as I truly believe several fundamental BIM concepts transcend the AEC industry. My personal opinion is that many people define BIM too literally. For instance, if I model my building in 3D and attach a bunch of data to it, I haven't done BIM, all I've really done is draw in 3D. In much the same way, several engineers discount BIM as not applying to them simply because they don't design buildings. As much as I feel this is rather shortsighted, I also feel a better acronym (other than BIM) should exist. If the acronym was something like IIM (Integrated Information Modeling), or CIM (Collaborative Information Modeling), I do believe other industries would start taking note, and a much more comprehensive workflow developed. you know why those other 3 letter terms are not used? because Autodesk has no use for them in its marketing. As soon as some new term comes up that sells software, it will find a way to latch onto it. Sometimes Autodesk actually raises the bar on the term too. This latest trick of calling C3D BIM is dishonorable though. I am Design Engineer (Mechanical), Nice post to know more about BIM, If BIM is more about communication/interaction between people why BIM process is not followed with software's like SolidWorks for product design. effective communication requires listening. that is why we have two ears but only one mouth. aside from the fact that so much more information is contained in a model as opposed to a 2d cad file, even though created with 3d info potential, I prefer using revit or autocad mep just for the ease of use both in creating new content and in changing existing content. it goes without saying that I am a big fan of the lazy drafter.